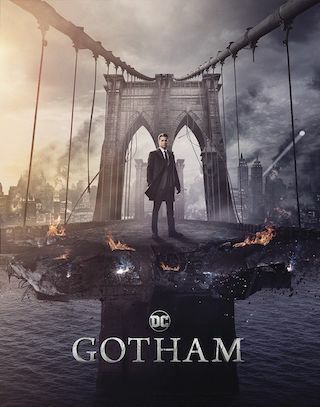 Gotham is an American 60 minute scripted crime television series, which kicked off on September 22, 2014, on FOX and is broadcast every Thursday at 20:00. The show is currently in its 5th season. FOX is yet to announce the renewal of Gotham for Season 6 as well as its cancelation. Sign up to track down the show's status and its release date. Everyone knows the name Commissioner Gordon. He is one of the crime world's greatest foes, a man whose reputation is synonymous with law and order. But what is known of Gordon's story and his rise from rookie detective to Police Commissioner? What did it take to navigate the multiple layers of corruption that secretly ruled Gotham City, the spawning ground of the world's most iconic villains? And what circumstances created them the larger-than-life personas who would become Catwoman, The Penguin, The Riddler, Two-Face and The Joker? Gotham is an origin story of the great DC Comics Super-Villains and vigilantes, revealing an entirely new chapter that has never been told. It follows one cop's rise through a dangerously corrupt city teetering between good and evil, and chronicles the birth of one of the most popular super heroes of our time.